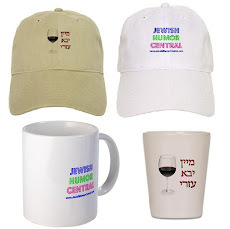 Jewish Humor Central is now also a lecture series available for presentation at your Jewish Community Center (JCC), Y, synagogue, or organization. 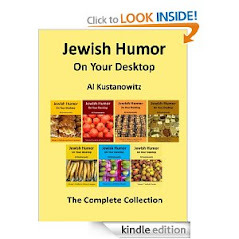 After two years of 600 blog posts on the internet, Blogger-in-Chief Al Kustanowitz is now presenting the best of Jewish Humor Central in a series of talks illustrated with video clips. Each presentation is approximately one hour long and includes about 30 minutes of funny video clips and 30 minutes of commentary. Presentation length can be adjusted to meet the needs of your organization. 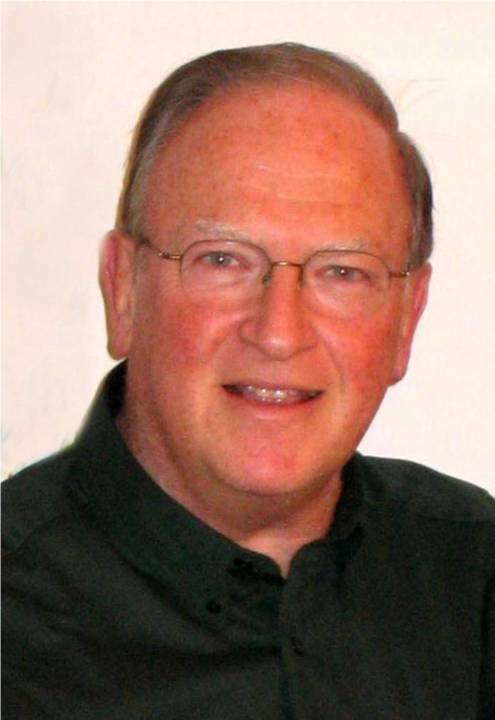 To book a date for 2011-2012, contact Al at 201-796-9273 or akustan@gmail.com. 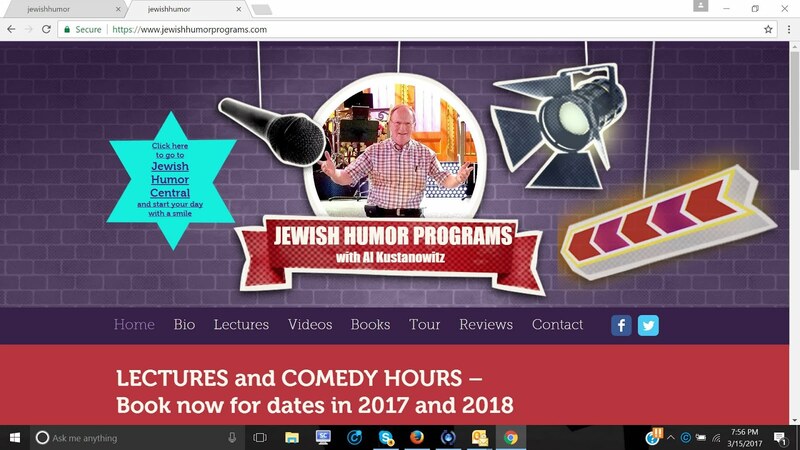 A survey of Jewish humor on the internet: Classic Jewish comedy, unbelievable but true news items, Jewish wedding fun, Jewish food fun, Israeli humor, funny Israeli commercials, Jewish holiday humor, Jewish film, music, dance, and flash mobs, unusual renditions of Hava Nagila, and Yiddishe nachas (Jewish pride). Jewish life encounters the world, Haredi high jinks, and stories that could happen only in Israel. 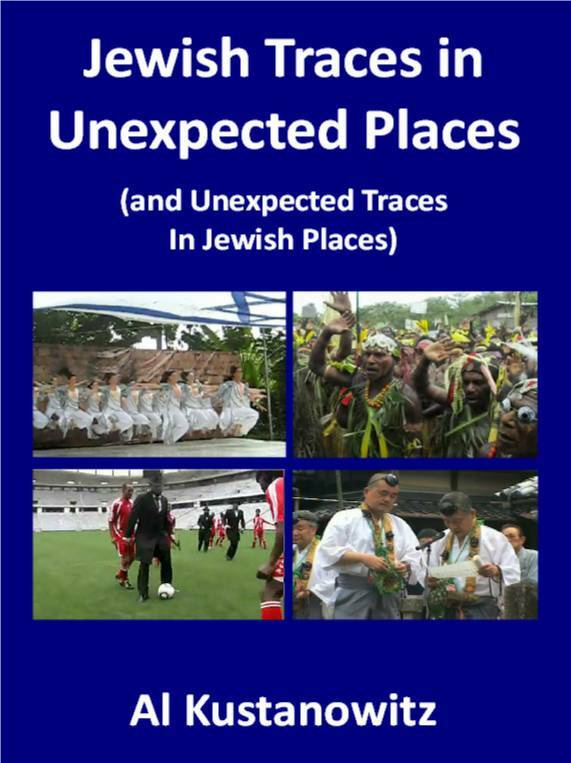 Slices of Jewish Life and Jewish music in Uganda, Indonesia, Guatemala, Beijing, Lithuania, Ukraine,Vietnam, Singapore, and Japan. 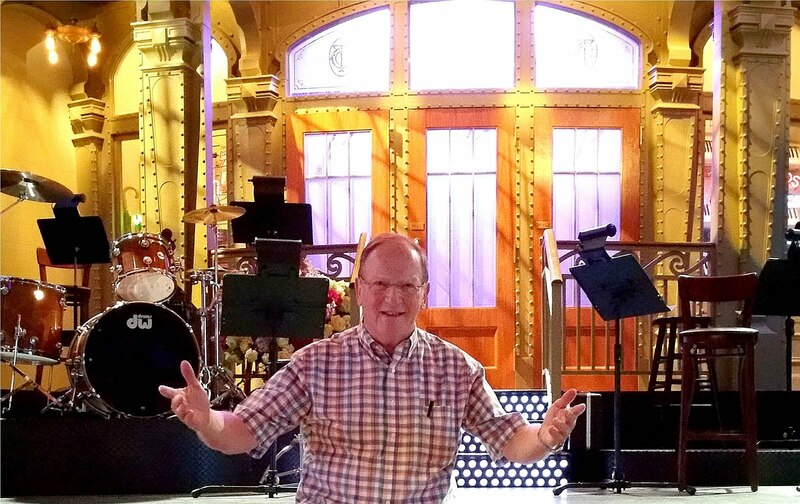 Yiddish jokes, cooking in Yiddish, funny translations of Yiddish words and phrases, and Yiddish Gilbert and Sullivan operas. Satire, parody, cartoons, song and dance, and inspirational videos just for Rosh Hashanah. Satire, parody, cartoons, song and dance, and inspirational videos just for Chanukah. 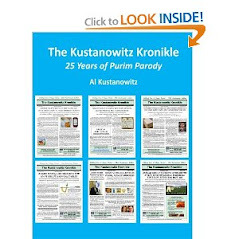 Satire, parody, cartoons, song and dance, and inspirational videos just for Purim. Satire, parody, cartoons, song and dance, and inspirational videos just for Passover. The world's oldest football player is 74 and has no plans to retire - The Guinness Book of World Records recognizes Israeli goalkeeper Isaac Hayik has world's oldest soccer player.